Rabbit : Rabbit is small mammals that you can find anywhere around the globe. there are numerous kinds of rabbit species. there are small, medium and big sizes. each species also has different color and climate adaption. 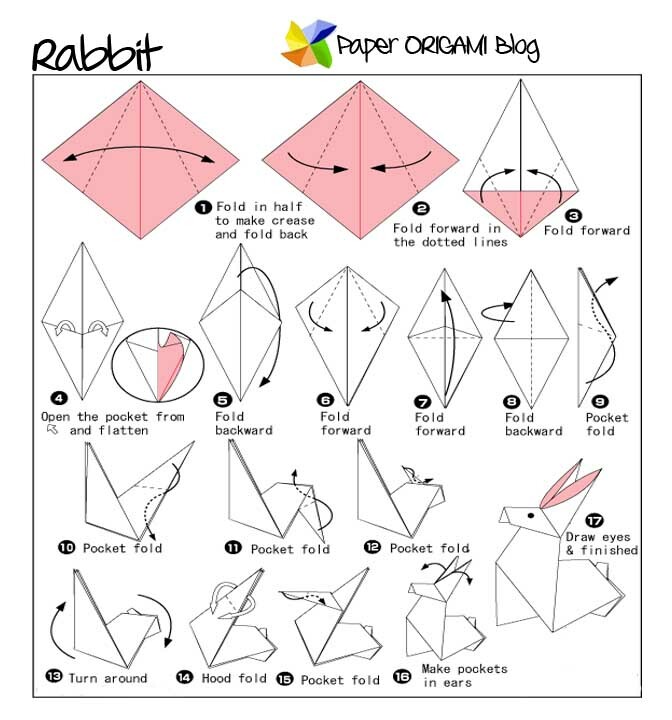 In origami world rabbit is simple to fold with the diagram below.